Today Violet turned 2. So we had a nice dinner and opened some presents. 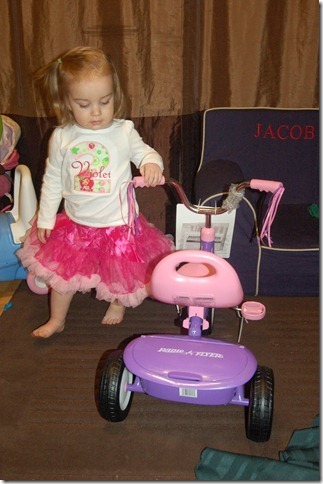 Our picture is of Violet looking over her new Trike.